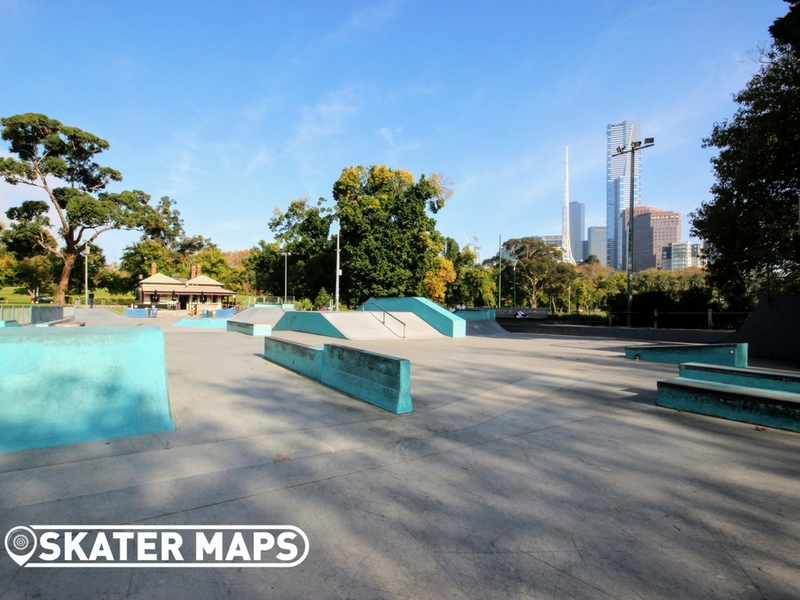 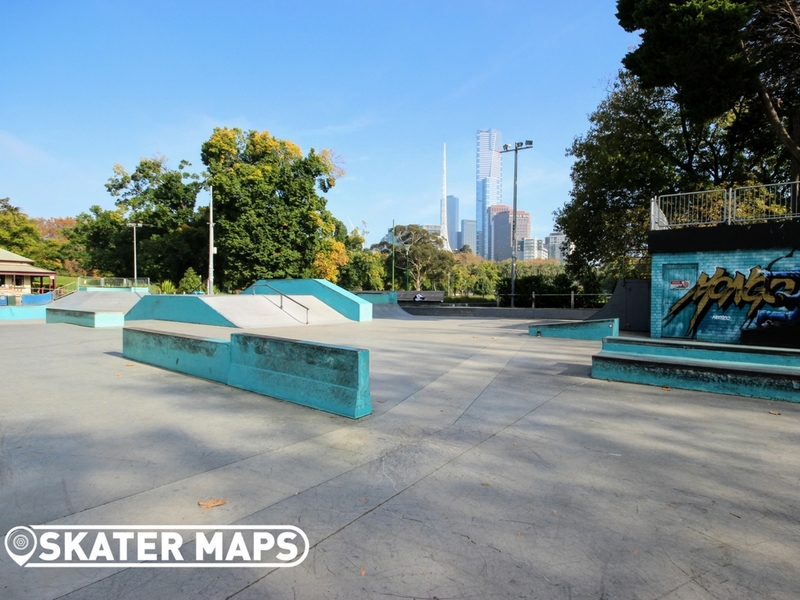 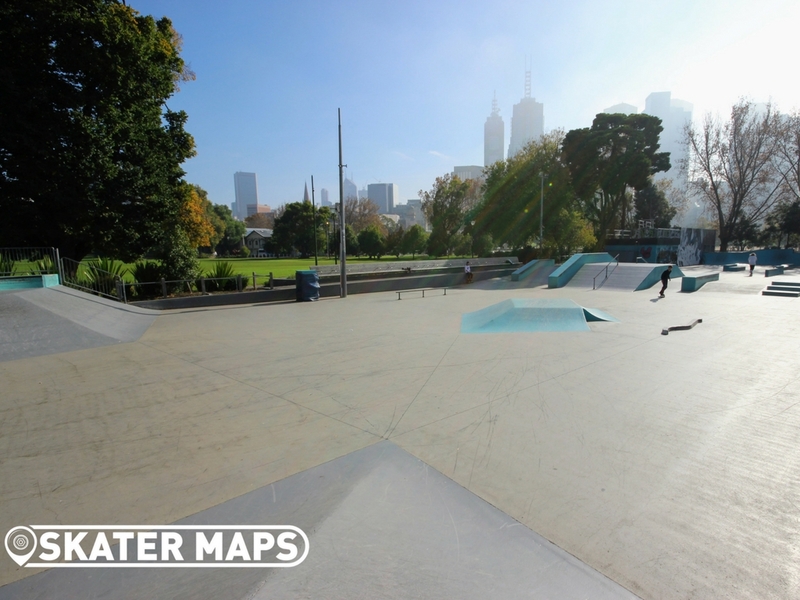 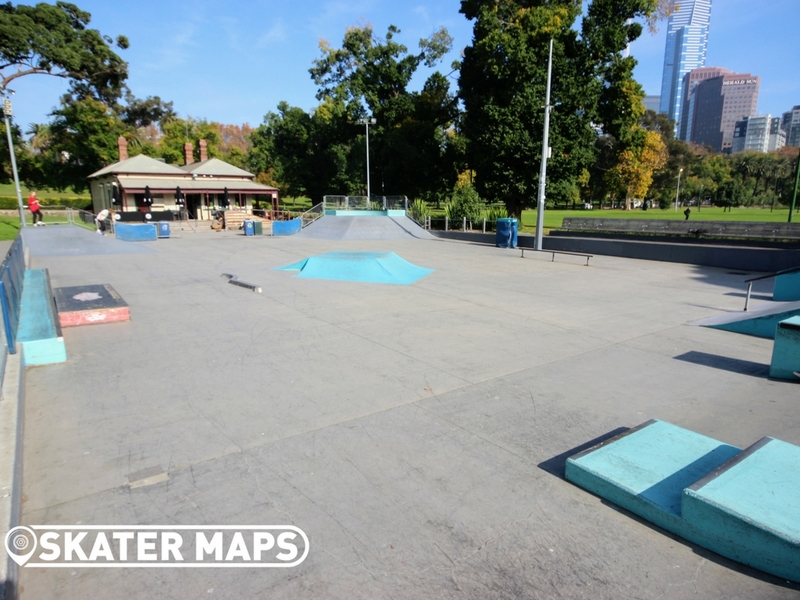 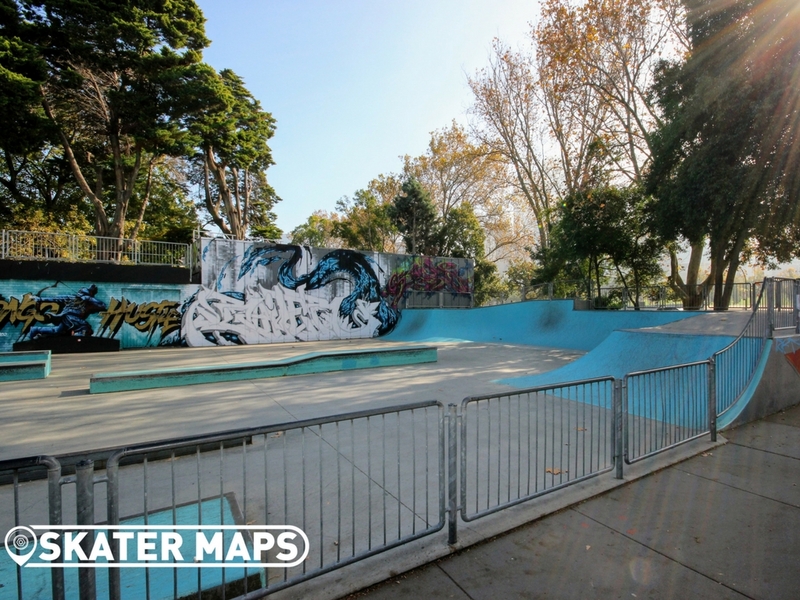 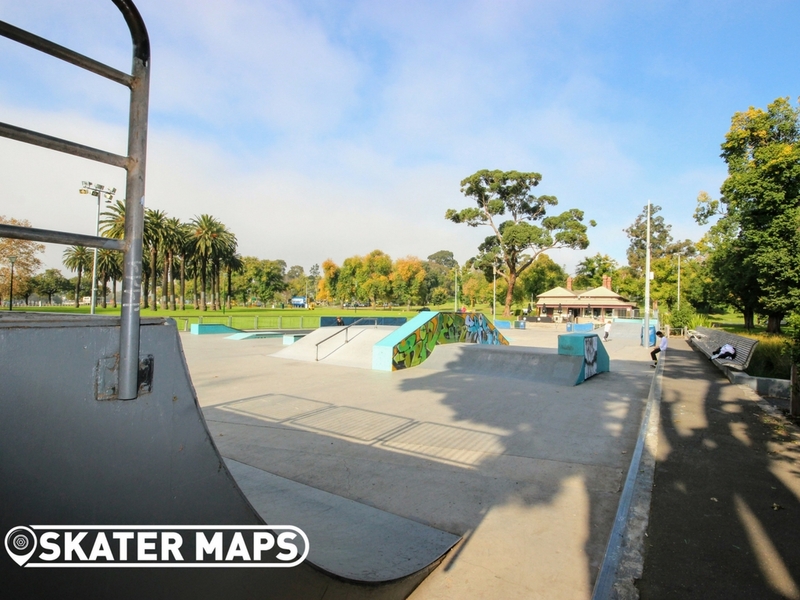 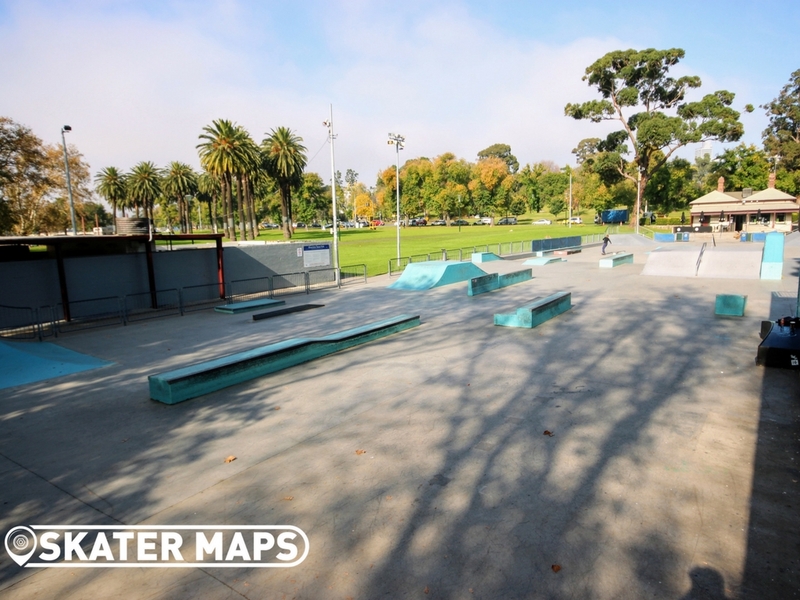 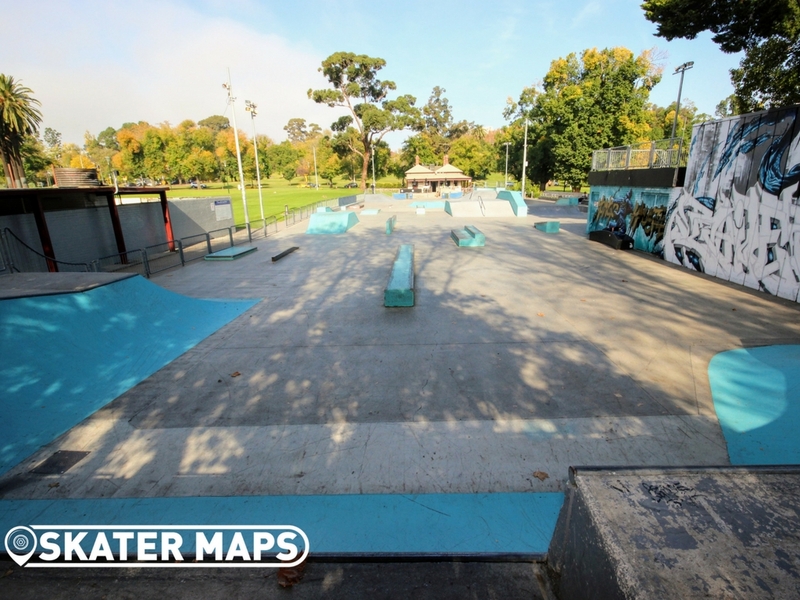 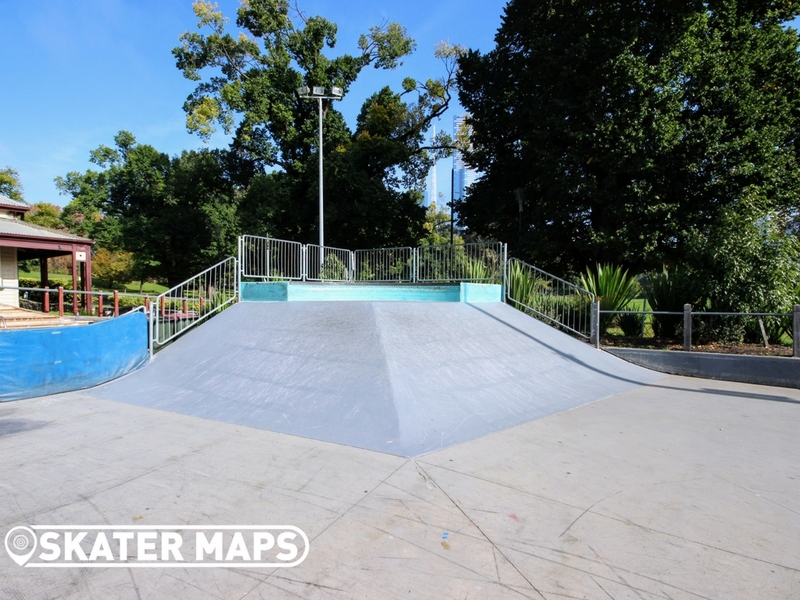 Riverslide Skatepark (AKA Riverside) is a premium street style Skatepark located right in Melbourne’s CBD in Boathouse Drive, Alexandra Gardens, on the south bank of the Yarra. 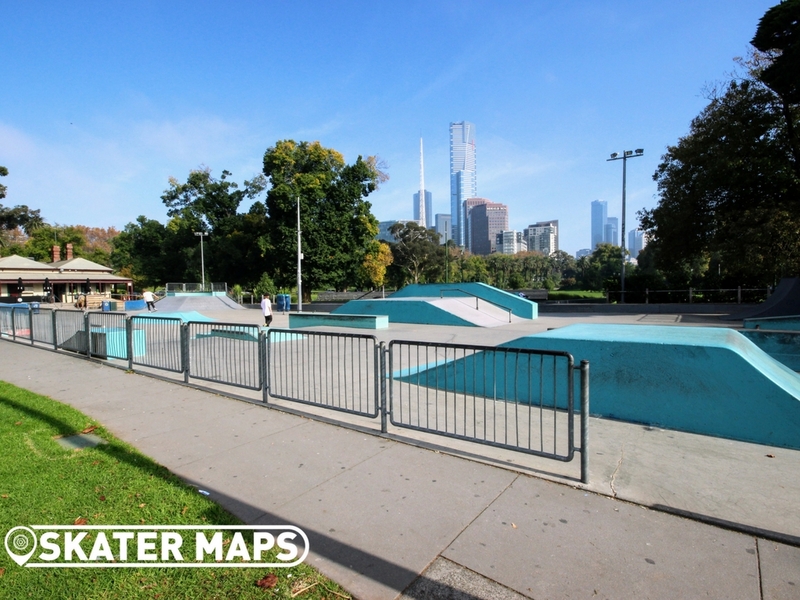 According to the YMCA, who offer lessons there, the facility is an “1800 square metre skater’s paradise…the city’s biggest and best skate facility” and hosts a “wide range of different skating terrains perfect for anyone at any ability level” (http://www.skatepark.ymca.org.au). 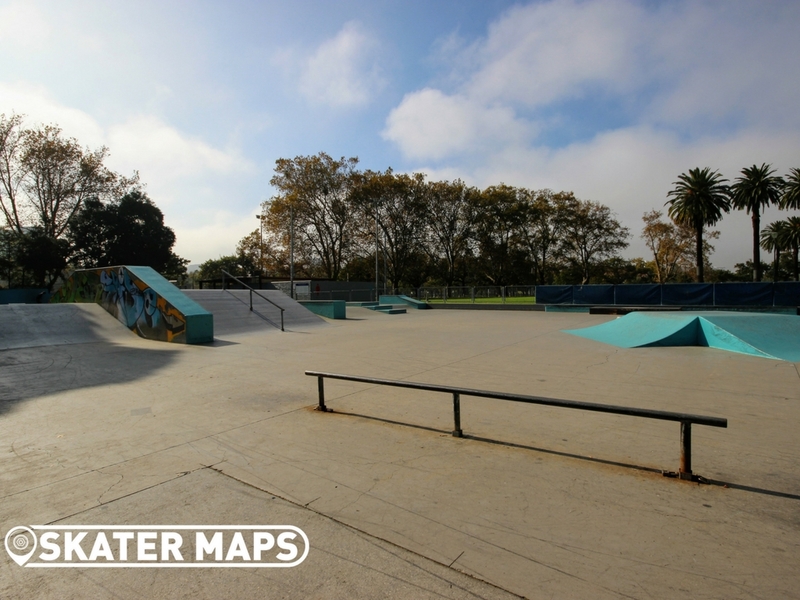 This website also details upcoming events at the Skatepark as does the Riverslide Skatepark Facebook page. 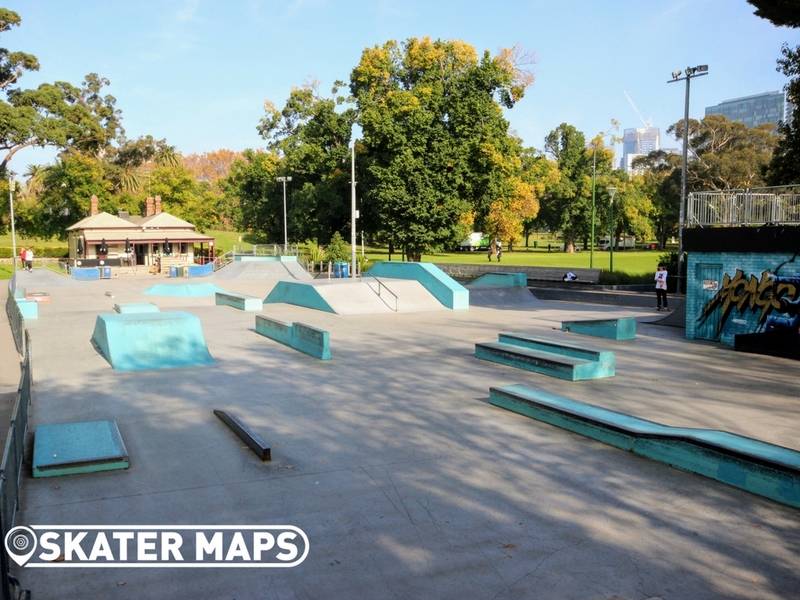 Whether you agree or not it is at least true that the large concrete Skatepark, built by Convic, hosts a whole range of features for street skaters including a big box, big ledges, stairs, heaps of blocks, quarters (including a large curved one), manual pads and, as the name suggests, plenty of rails to slide on. 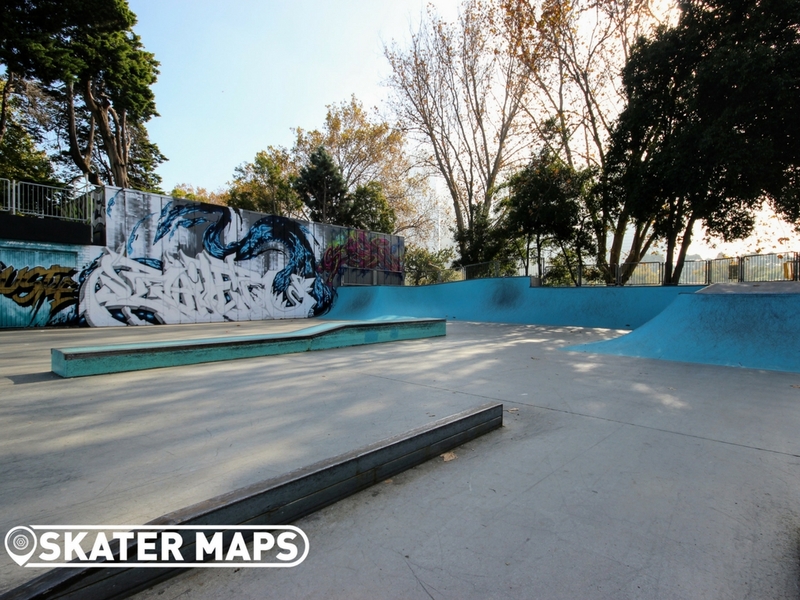 A picture tells a thousand words so take the virtual tour! 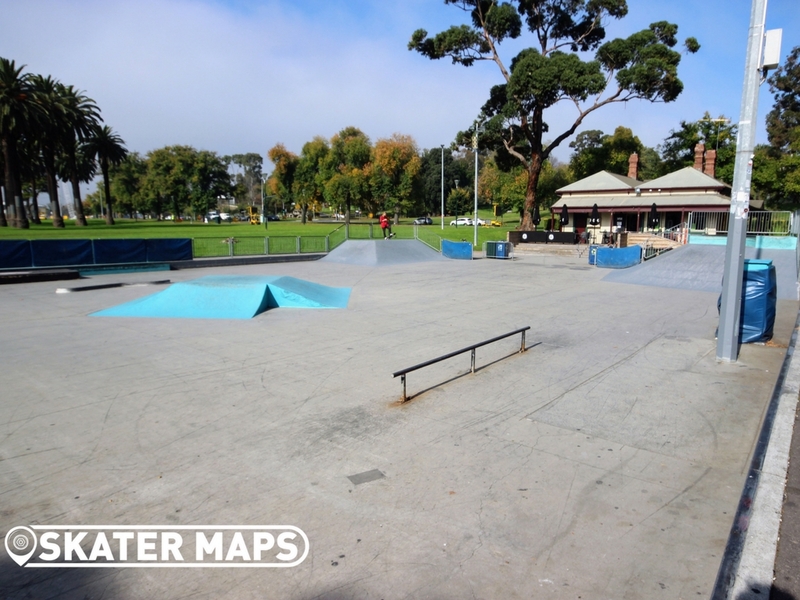 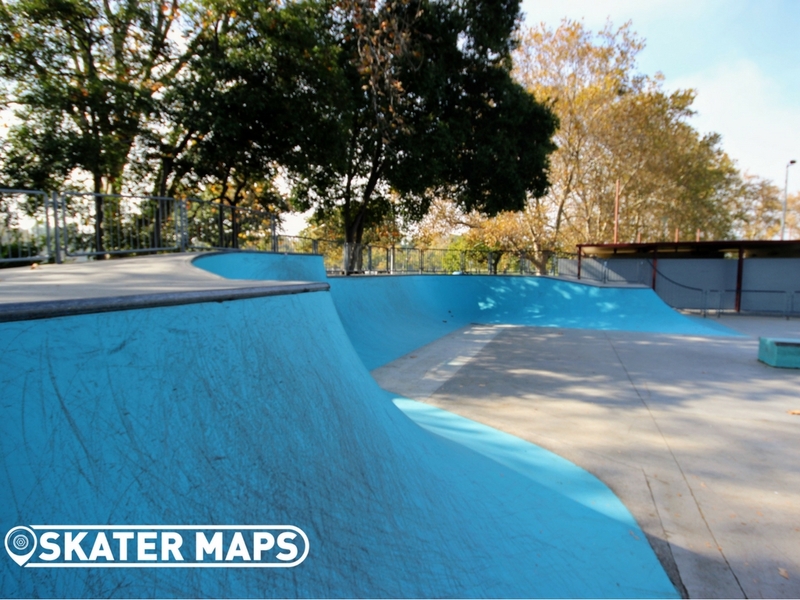 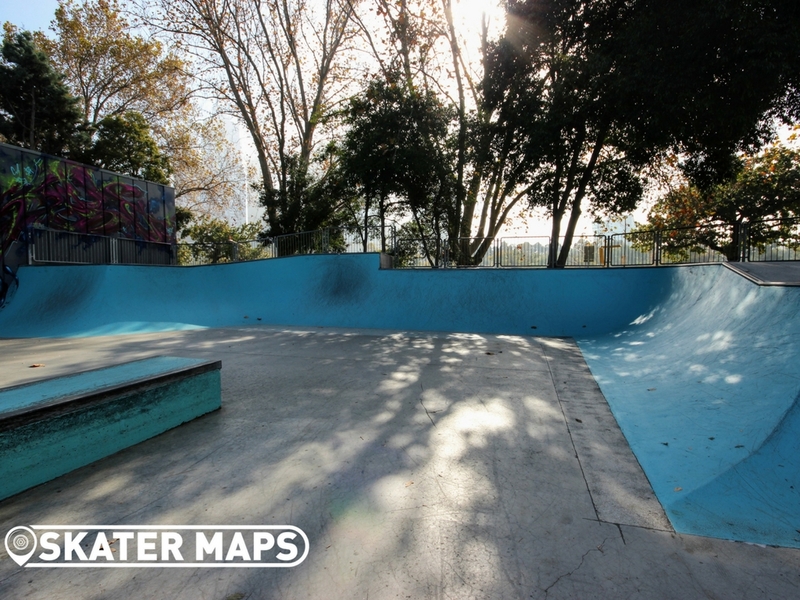 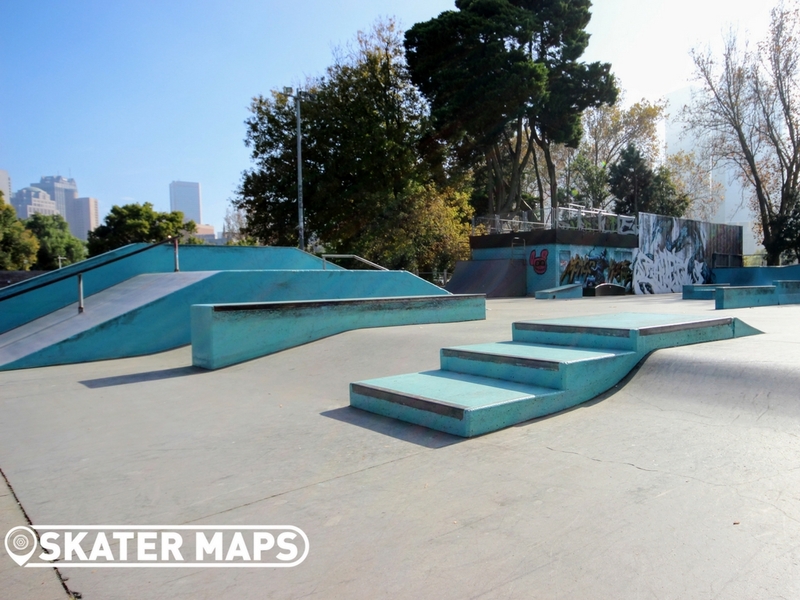 – Plenty of great bars and food nearby including a coffee shop / skate shop at the park itself. 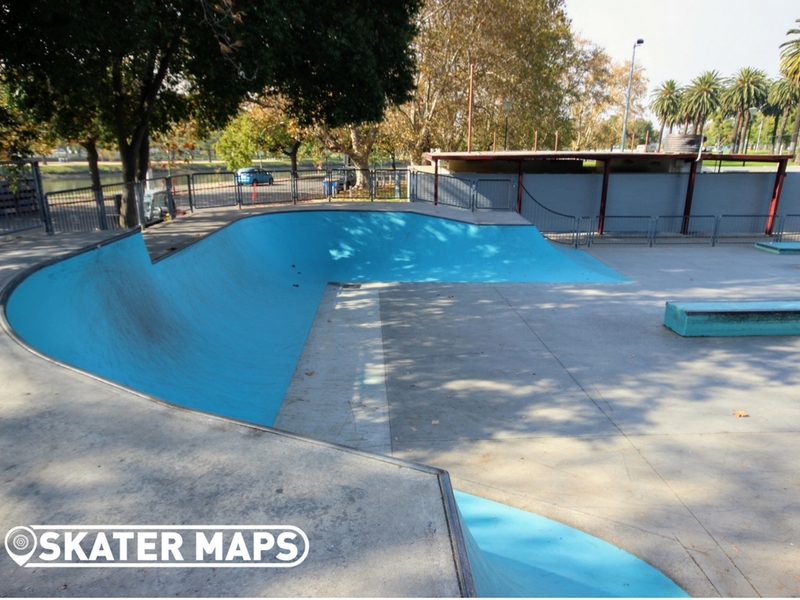 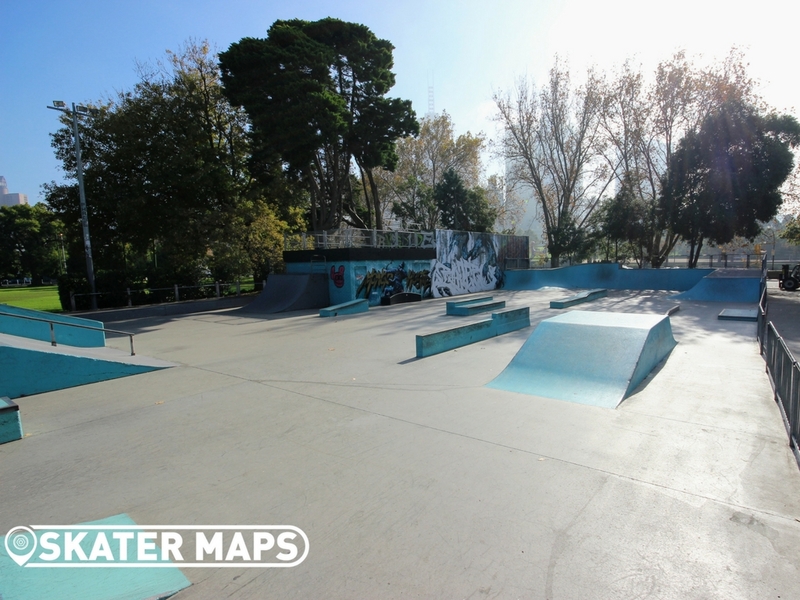 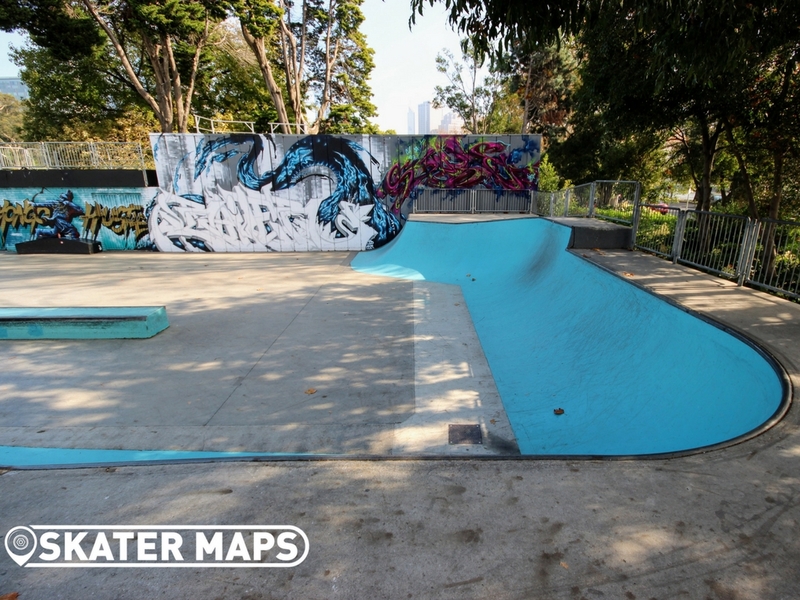 – The Skatepark is free yet is staffed from 10am – 6pm (till 8pm during daylight savings). 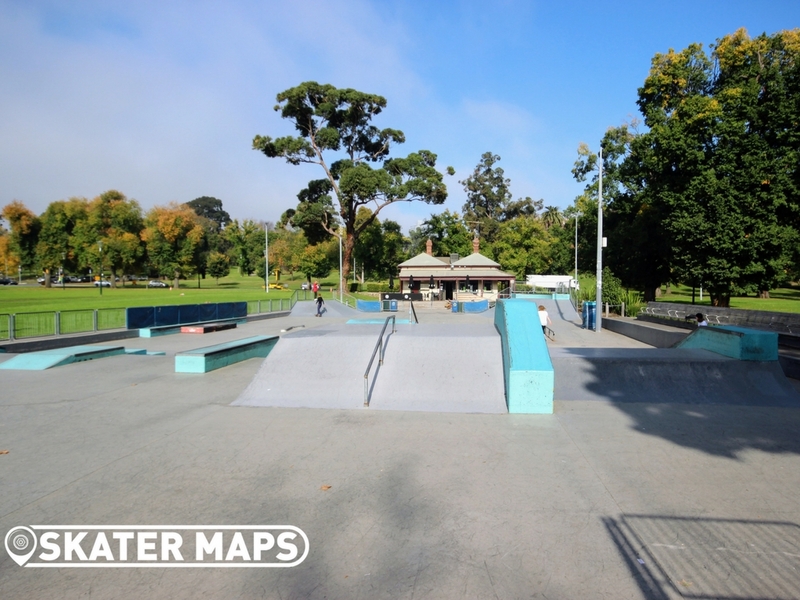 Additionally On Wednesday and Friday nights the park is floodlit until 10:30pm (excluding winter months and weather permitting). 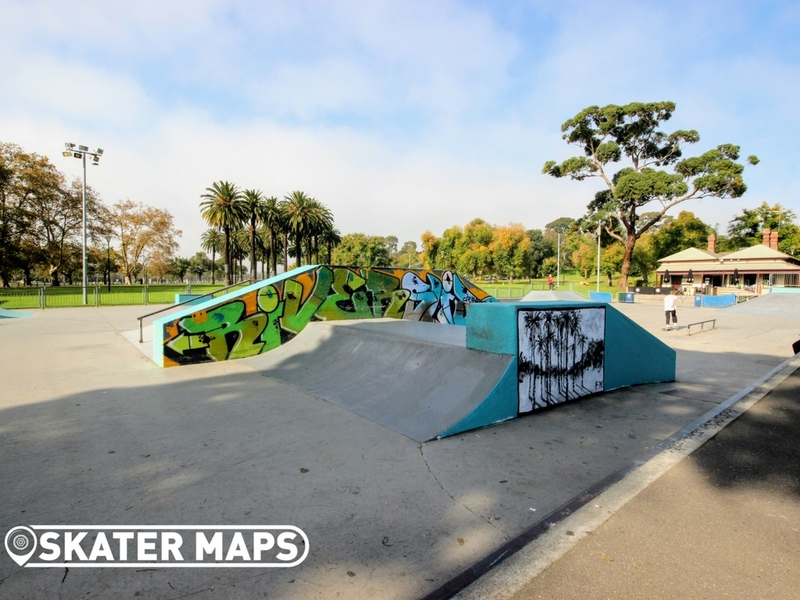 – Plenty of nature, fitness freaks and posers to check out at the nearby Botanical Gardens. 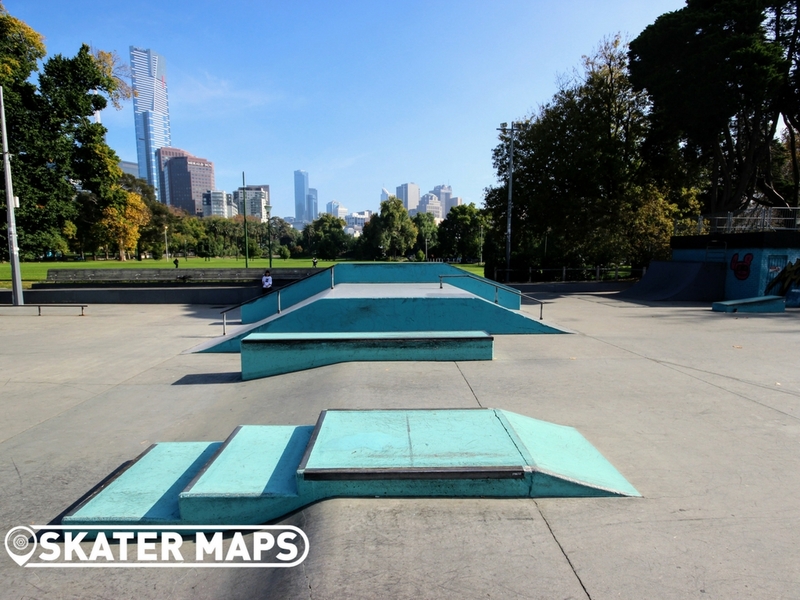 Thanks, great place to skate.